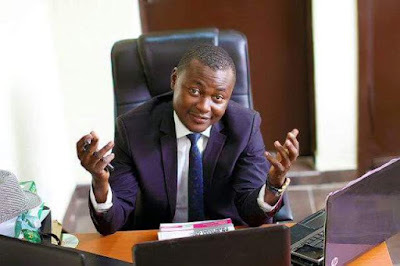 A human rights activist Comrade, and former University of Abuja(UniAbuja) Students Union Government (SUG) President Pelumi Olajengbesi, has been elected as the House of Assembly candidate of the Peoples Democratic Party (PDP) in Oriade Constituency, Osun State. Olajengbesi, initially show interest to run for the House of Representatives, Oriade/Obokun Federal Constituency was elected for House of Assembly as the party resolved political interests amongst all the contenders. Olajengbesi, 32, is a lawyer and a public interest advocate with several commentaries on socio-political ills and anecdotes for better governance. His foray into politics follows closely on the heels of his brushes with state and federal authorities over his keen criticism of the abuse of power and corruption. Together with other activists, he led a popular youth movement, #YouthLeadNigeria that gave impetus to the #NotYoungToRun bill that has long encouraged the participation of youths in Nigerian politics. Olajengbesi is also the Convener, Office of the Citizen of the Federal Republic of Nigeria(OCFRN).